Berlin hosts one of the most important film festivals in the world. But, beyond the red carpet, there is a whole host of new stars at the Berlinale Talents. 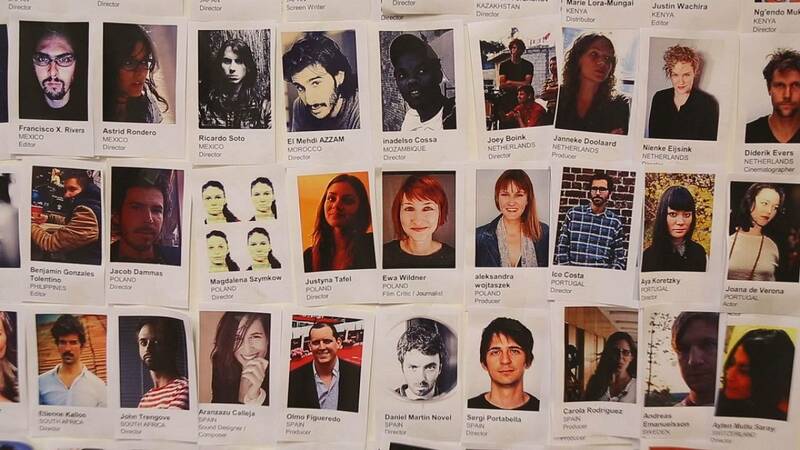 This year, 300 privileged young professionals were chosen from around 4,000 applicants to attend ‘Berlinale Talents’. They were invited to take part in a multitude of workshops, debates and project labs in order to expand their network. Ewa Wildner wanted to improve her skills as a film critic. ‘Talent Press’ participants receive tips and advice from mentors. But how do you become a film critic? In 2010, the film ‘Shahada’ brought the actress Maryam Zaree to the Berlinale film festival. Four years later, she is back to do the Acting Studio workshop. Sergi Portabella has a couple of award-winning short films in his portfolio. He was part of the ‘Script Station’, where feature film scripts are refined with the help of experts, then shown to producers. He spoke about his latest motion picture. “My film is called ‘Jean François and the Meaning of Life’. It’s the story of a 12-year-old boy from Barcelona who finds a book by Albert Camus, decides to convert to existentialism and runs away from home to meet Camus in Paris, without knowing he died more than 50 years ago,” said Portabella. This edition of ‘Berlinale Talents’, supported by Creative Europe’s Media programme, encouraged participants to “break the rules”, as programme manager Matthijs Wouter Knol discussed. “For us, ‘Breaking the Rules’ means introducing filmmakers to daring and new methods. It’s about boldly questioning established structures and playfully discovering new paths and possibilities,” he said. “If you’re trying to make your project come to life and you’re looking for a producer, sound designer or actor you will meet those people here,” he added. Portabella agreed with Wouter Knol. The Generation Y stories continue on our social media pages.